Malini Murjani’s handbags are quite beautiful. The ones at ShopBop are simply designed with soft leather and chain handles. Malini Murjani also has designed some bags featuring unlikely materials such as agate and unusual finishes on the leather as seen on her official website. Very pretty accessories. Tora shoulderbag, $656. Lisa tote, $690. 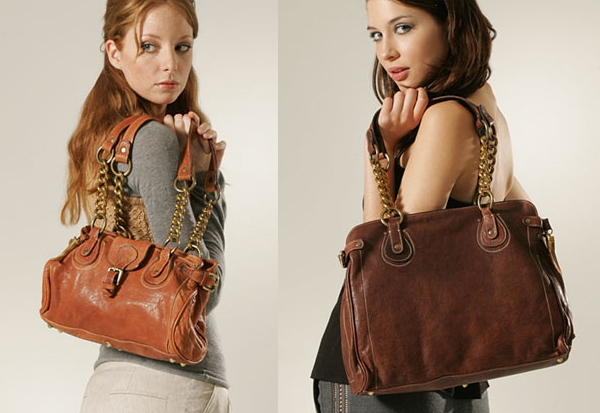 I just saw one of these in a local boutique Ã¢â¬â the leather is delish! uh, why haven’t we covered her? you gotta pass the word on these types!